Between fake news and horrible political reality, I can't stomach April Fools pranks this year. Instead, I would like to give a shout-out to some of the most entertaining pranks the fashion world pulled on us that made us smile. Legendary Vogue editor Anna Wintour has made her ambivalent feelings toward the Kardashians visible over the years. She expressed disapproval at Kim's pregnant Met Gala look. Her tight-lipped tolerance of the West children at a fashion show was photographed by many. 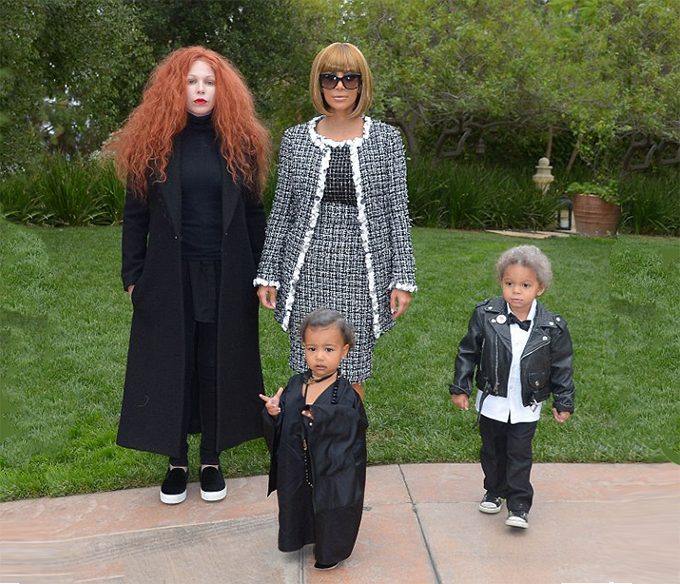 Kim Kardashian and family responded with the sincerest form of flattery in 2014. Kim dressed as Wintour for Halloween, with daughter North West dressed as editor Andre Leon Talley. 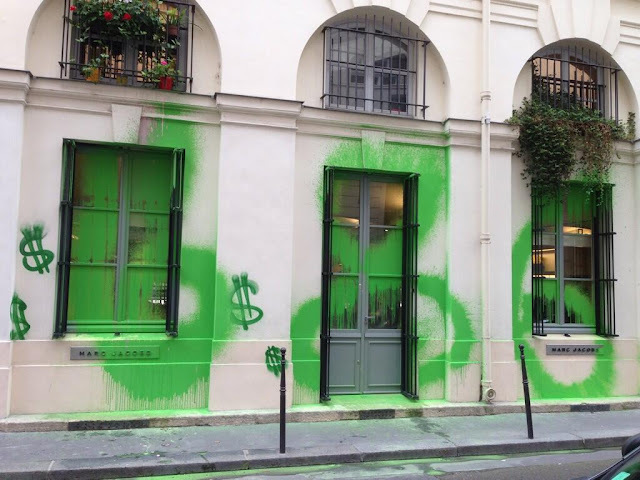 Street artists Kidult tagged (defaced) the exteriors of several Marc Jacob's boutiques. It was allegedly a comment on the obscene price of the t-shirts sold inside. Jacobs gave a sartorial middle finger to the artist by selling screen printed t-shirts with imagery of the graffiti, $686 "unsigned" and $430 "signed." as an additional insult. The tongue-in-cheek response prompted many to wonder if this was actually a collaboration instead of a feud. Alexander Wang loves his fans. In 2013, he invited his biggest fans to a mystery event. Some speculated it was a secret fashion show, some hoped it would be a private sample sale. The reality was better than they had imagined. When the doors opened, the designer announced the warehouse full of his collection was free for the taking. The resulting video documenting the event was both exhilarating and terrifying. 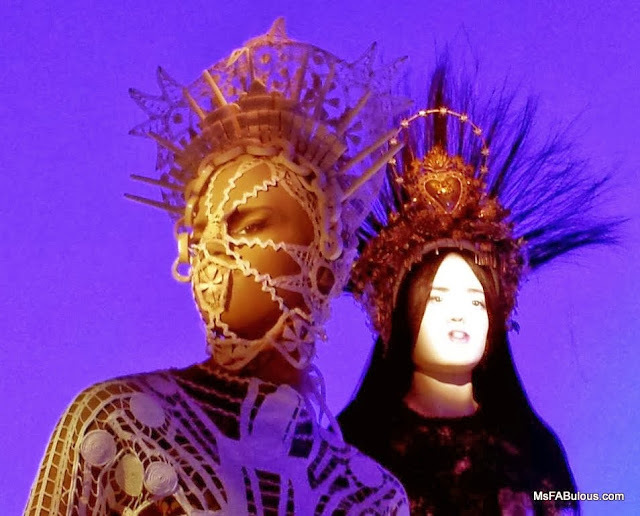 One of my favorite museum fashion exhibits of all time was the Jean-Paul Gaultier show at the Brooklyn Museum in 2014. One usually expects beautiful fashions presented on mannequins and pedestals. This exhibit, the mannequins were animated, occasionally with voices. While you looked at the mannequin, thinking it was stationery, they eyes would spin around and glare at you. Others were placed on a moving runway. While you watched them, the mannequins behind you would whisper "I'm beHIND you!" creepily in your ear. In 2015, posh retailer Barney's introduced a dogs only menu in their elite restaurant. 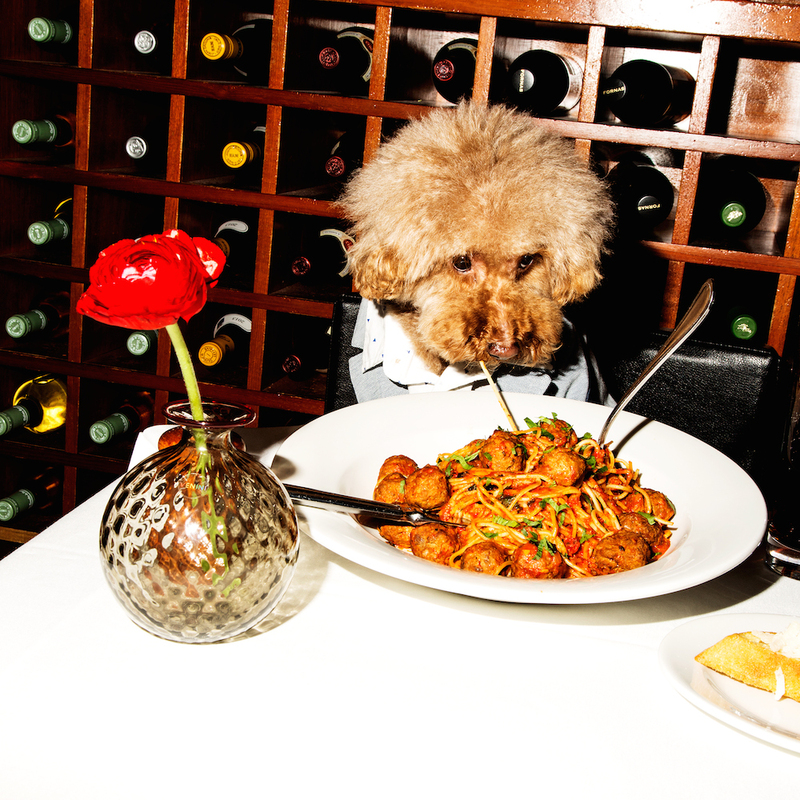 Dishes offered included grain-free spaghetti and meatballs as well as the Bark's Madison avenue salad. This was the department store's April Fool's offering. Most people saw through the hoax, but the photos were adorable anyway.